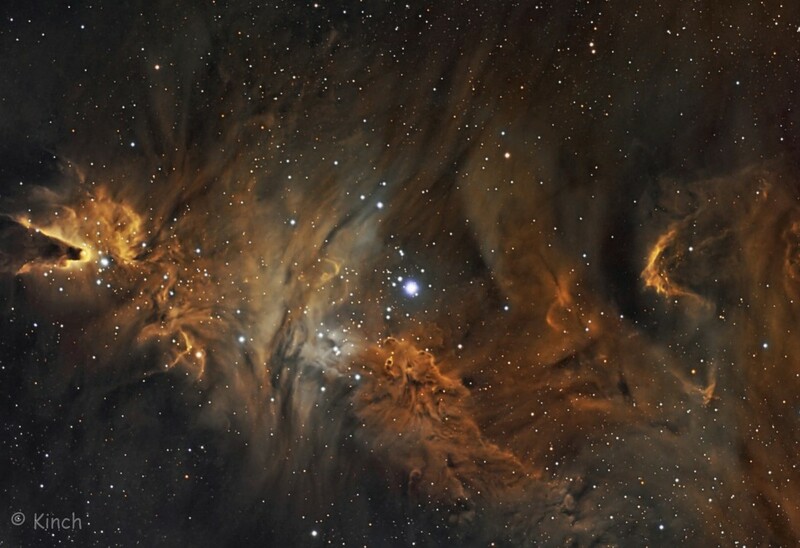 and the Fox Fur Nebula. 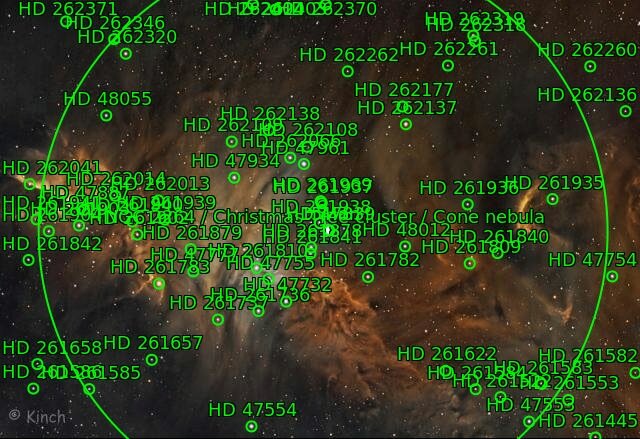 All of the objects are located in the Monoceros constellation and are located about 800 parsecs or 2600 light-years from Earth. 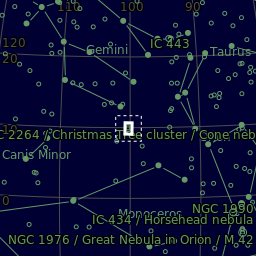 NGC 2264 is sometimes referred to as the Christmas Tree Cluster and the Cone Nebula. 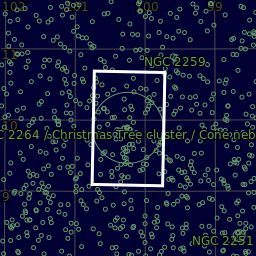 However, the designation of NGC 2264 in the New General Catalogue refers to both objects and not the cluster alone. Astrodon 3nm Ha 24 x 1200"
Astrodon 3nm OIII 16 x 1200"
Astrodon 3nm SII 17 x 1200"
Center (Dec, dms): +09° 53' 00.418"